Now that Lily is getting older and understand things a little more, games are something she is really taking a liking to. For her its a nice activity that she can sit down and concentrate on and she really does like to get her little mind working trying to figure out things. When meeting Orchard Toys at the Toy Fair Lily really showed an interest in 2 games. These games were called Post Box Game and Two by Two. They both had something in common about them that Lily loved so much. That was the element of posting. When Orchard Toys saw that Lily has taken such an interest in these games they sent them over to us to try and also write a review. As soon as I got these out of the delivery box Lily could not wait for us to try them. She literally snatched them out of my hand and sat down ready to play. Eager is an understatement!!! I quickly managed to get a couple of snaps of them in the box before opening Lily's first choice which was two by two. 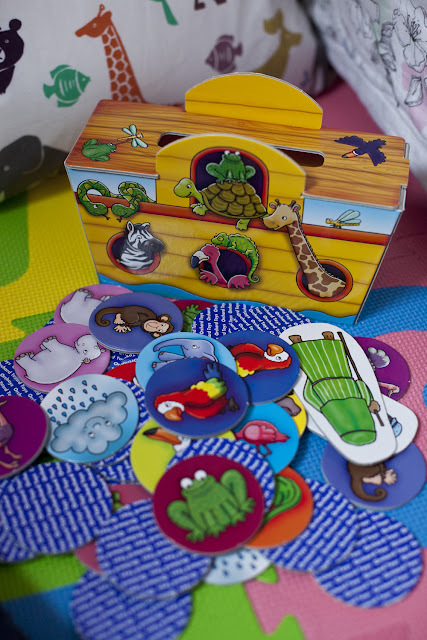 The two by two game comes with 1 3-D Noahs Ark, 42 animal cards and 2 character pieces that are Noah and his wife. There are also 2 cards that have rain clouds on them. The object of the game is simple. You need to be the first player to make matching pairs of all their animals and post them in the ark. So the way to set up the game. You place the ark in the middle. Then get all your cards toggether. You need to find the 2 rain clouds and set them apart and then you make pairs of the animal cards and make 2 piles, each pile containing one of each animal. One set of the cards are all placed face down on the table surrounding the ark, the rain clouds are also placed facing down with them. Then the other cards are dealt between the players. Between 2 you would normally have 10 pieces each but as Lily had never played before we decided to half that and have 5 each and so placed 10 animals face down. We then placed the 2 clouds down. Now we had to take it in turns to lift up a card to see if it matched our animals. It did take a while for Lily to grasp this concept and I had to help her by saying "yes you do have the frog". When you have a matching pair you then post that pair into the ark. The first player to get rid of all their cards then has to try and find the cloud and when they have they post that into the ark and the ark sails away. I won the first round, not that Lily cared because her favourite part was getting to post the animals into the ark. We played this game again but the second time a little different. This time I faced all the animals up so then Lily could see the animals. So it was more of her practicing matching more than anything. I do love that with Orchard Toys games you can slightly change the ways of playing to adjust to the age of the child and help them have practice playing the game. There was one thing that after I played i though to myself and that was "we didn't use the characters supplied, what are they for?" So I re read the instructions and they are for imaginary play afterwards. What a great idea and addition to the game. I also though that when 2 people were playing we could each have a little character as our player character. You know, a little like you have a piece that goes around a board game. Two by Two is a brilliant game, the bright colourful pictures in the game really impress me and I think that Lily is really attracted to them which makes her want to get them out all the time. We have already had this game out and played with it countless times. 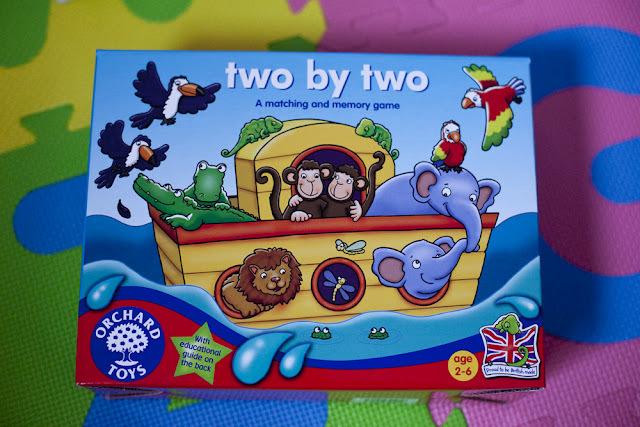 Two by Two also has some great education aspects such as encouraging observation, developing manual dexterity and encouraging personal and social skills. I also think that having to put the pieces into the slot helps with hand and eye co-ordination and fine motor skills. This game is recommended for children aged 2-6 years old and is for 2 to 4 players. It retails at £12 and can be bought from the Orchard Toys website. Next we played the Post Box Game. I just knew Lily would be really good at this one with it being about colours. She is really into her colours at the moment and knows them all really well. Each time I get this game out Lily gets really excited. The first time we played it she could not wait for me to get it set up and started posting the letters into the letter box before I got chance to finish. 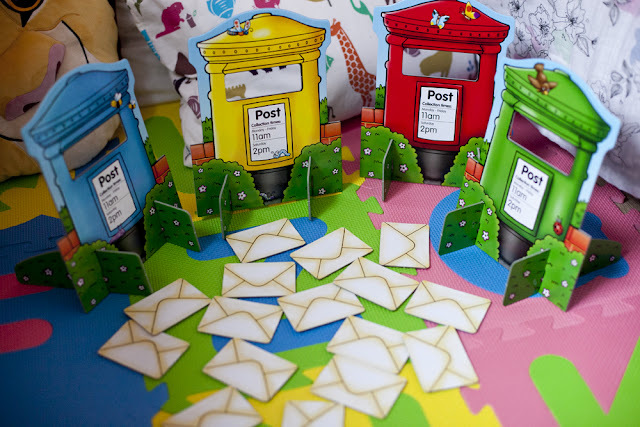 The game comes with 4 different coloured post boxes with supports and 16 letter cards. The post boxes are all in the primary colours of Red, Yellow, Green and Blue. They are all colours that Lily knows but if your child didn't know them then they are the best 4 to start with so its great that they have used these colours for this game. To set up the game you slide the supports into the base of the post box to stand them up. You then need to get all the envelopes and place them colour side down onto the table. There are more than one way to play the game. In the simple way of the game you and the other player take it in turns to lift a cards and then place that into the matching post box. This is the way that me and Lily played the game. Then you could also take it in turns to pick up 2 cards if the colours match you can post it into the same coloured post box. Or you can assign each player a coloured post box and the aim of the game is to post all their coloured letters into the post box first. This game really helps Lily with her matching skills. Although she knows her colours really well. She is still learning to match things up. A few times I had to remind her how to play the game and ask her what colour envelope she was holding and then ask her which coloured post box that it should go in. Then she generally got the answer right. This game is really going to help Lily learn how to take turns also. Something that a lot of children her age need to start to learn. She is going to be starting nursery soon and so its something I would like her to know how to do before going there. I would say that this game is a great start out game for 2 years old that have never played a game before. 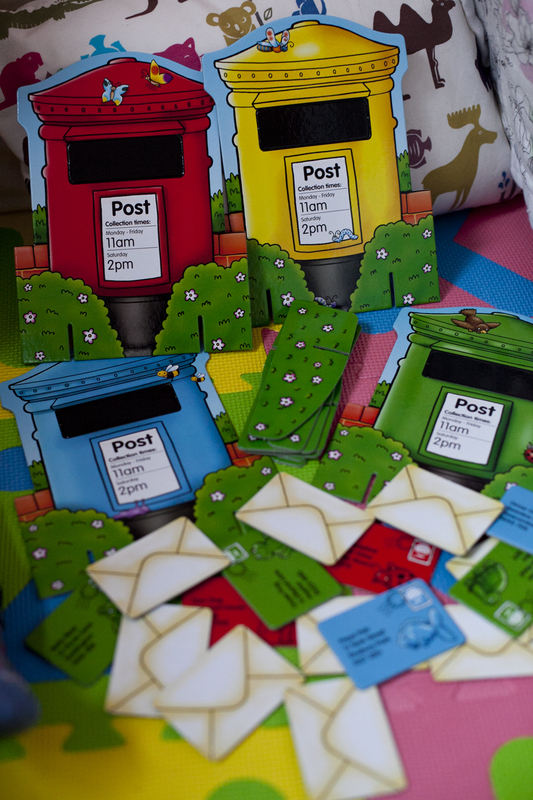 Its simple, fun and they will just love posting the letters into the post boxes. Its also a game that Lily will quite happily play by herself. If I set it up for her she happily sits there matching all the colours and posting them. Then does it all over again when she has finished. 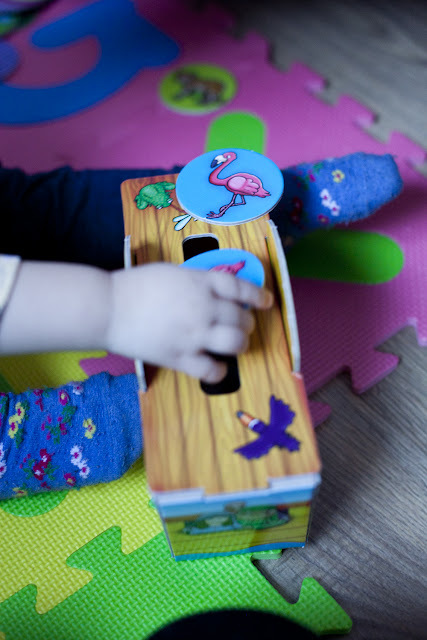 The game also helps to develop hand and eye co-ordination skills while your child grips the cards and aims to put them into the post box slot. This game retails a little lower in price than Two by Two at £9.50. I think all Orchard Toys games are well worth every penny and they are always one of my Go To companies for games for Lily. They are always so great in quality and provide you with really sturdy pieces that are sure to last. 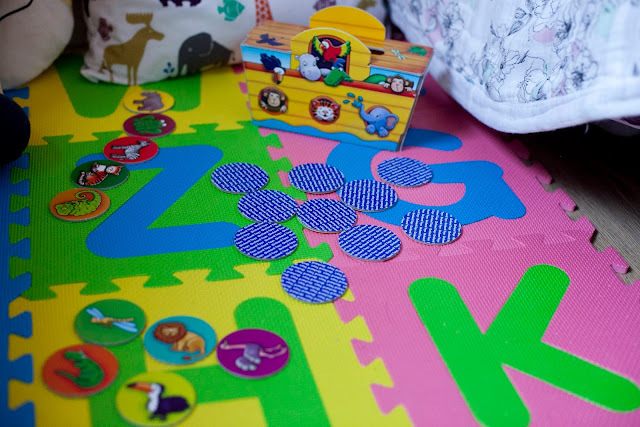 Its recommended for children aged 2+ and is for 1 to 4 players. 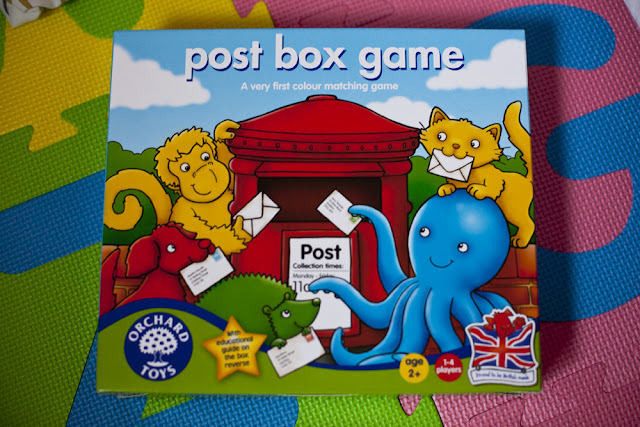 You can buy the post box game on the Orchard Toys website. Which of these 2 games do you like the sound of? We absolutely love orchard toys games! Haven't got these two but they look great! I like the sound of both games. Though I would tend to favour Two by Two. These both sound like great games. My granddaughter is almost 4, so I think the Two by Two game would be good for her to play.